Facebook announced in March that it was introducing a donate feature to the platform. Six months later that feature is finally being rolled out in the UK and Europe. But what will it mean for charities and how can they make the most of it? Some of the first people to use the integrated tools of Facebook Live and Donate were from the UK. Paul de Gregorio, director of digital engagement at the London-based fundraising and communications agency Open, led a team that delivered the fundraising element of a project called Stand For Rights in March. The project was the brainchild of a group of US TV producers who wanted to raise money for the American Civil Liberties Union by hosting a telethon that was broadcast on Facebook Live. Having a whole host of amazing celebrities such as Tom Hanks, Tina Fey and Alec Baldwin helped of course, but it was a clear fundraising and engagement strategy to build a community and make fundraising asks on the night that made the event such a success. More than three million people watched the show on Facebook Live and it raised in excess of $700,000, with close to half of that figure being donated through Facebook Donate. Paul said: "Working on the Stand For Rights campaign gave us an insight into the huge potential of Facebook Live as a fundraising and engagement tool. And not just for high-profile telethons. The ability to ‘go live’ at a moment’s notice and tell your story directly to your online community presents a whole range of exciting opportunities for fundraisers, from giving supporters a behind-the-scenes view of your work to being able to respond immediately to events as they unfold. 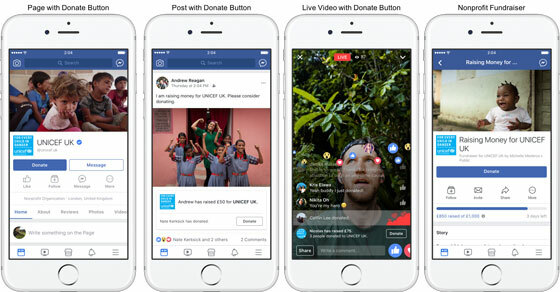 "And by adding Donate to the Live experience, Facebook has created a situation in which every piece of content has the potential to drive financial support. Added to that, the user experience is incredible." For those charities without access to celebrities or the expertise of a fundraising agency, how can they tap in to the potential that Facebook Donate offers? Forever Hounds Trust is a small charity with a community of more than 13,000 "likes" on Facebook. Emma Butler, marketing and communications manager, has given this new feature some thought on how to turn engagement into donations. Butler says: "Initially we plan to use Facebook Donate with posts about individual dogs for which we need to raise extra to fund their treatment – we know these sorts of stories always generate interest. A recent example of this is a lovely lurcher we looked after called Toby. Previous injuries meant Toby had to have a leg amputated and we documented his treatment and recovery on Facebook. "Toby’s doing really well now, living life happily on three paws, and has settled into his forever home. The fundraising appeal we ran alongside his story was fairly successful, but it involved having to direct donors away from Facebook to other sites where they could make a donation. It will be very interesting to see how much of a difference being able to make a donation directly from a Facebook post will make to this sort of appeal and is something we will be testing." Facebook has, over the years, been making it more and more difficult for people to leave its platform. That’s why it allowed media sites to publish directly to Facebook and why it introduced native video – to stop users being taken away from the platform to sites such as YouTube. The donate feature will give users a much more seamless journey – and, of course, keep them on the platform. Most interesting is its charge, which is 5 per cent – the same as JustGiving. However, unlike JustGiving, charities don’t need to pay a monthly fee. Dan Papworth Smyth, digital manager at the Teenage Cancer Trust says: "I've been paying close attention to the use of Facebook Donate with Facebook Live broadcast events, such as the ACLU and One Love Manchester. There will be big opportunities for the sector, from being able to fundraise from exclusive content or chats with celebrity ambassadors to allowing the people you support to have a live voice on your channel and encourage support. 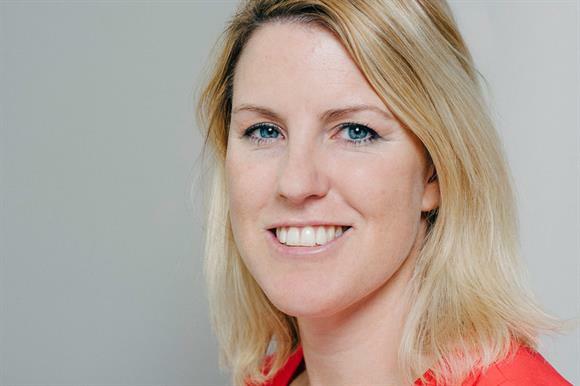 "Suddenly there will be far more incentive to ‘risk’ going live rather than pre-record video content, and I for one can’t wait to see this exciting new digital landscape develop. We’ll certainly be looking into the new additions over the coming weeks to see whether it’s the right fit for our page and audience." Butler adds: "We’ve been trialling using Facebook Live to demonstrate the work of the rescue team as well as capturing the moment new owners meet rescued dogs for the first time. These posts have generated a lot of engagement because they show a side to animal rescue work that is often hidden and hard to document. We’ll be adding a donate button to these posts and measuring activity carefully to help us plan more uses for the function in the future." Will Facebook Donate revolutionise online fundraising? It’s obviously too early to say. As we all know, it’s difficult to get your content seen on Facebook without putting spend behind it so getting your Facebook Donate content seen will be a challenge. Facebook Live notifies your audience when you go live so there is that opportunity. However, for charities looking to use Facebook Donate a clear content strategy is needed and adding Facebook Donate should not just be an afterthought. Nor, in my opinion, should it be added to everything: fundraising asks should be kept to specific campaigns, otherwise you risk losing your audience, because no one wants to constantly be asked for money. Lots to consider, but exciting times ahead. Facebook will be working with beta partners Movember UK, Oxfam and Unicef, so keep an eye out for their campaigns.